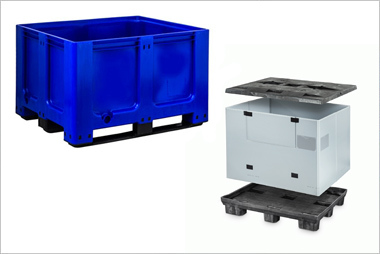 Our rigid pallet boxes are both strong and robust making them perfect for repeated use, all types of bulk storage, distribution and waste recycling. 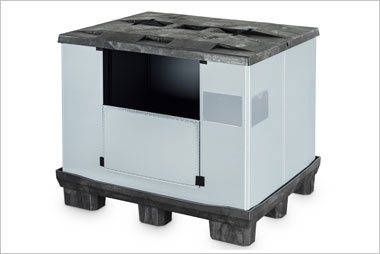 Easily stacked, our rigid pallet boxes are space saving and reduce transportation costs. 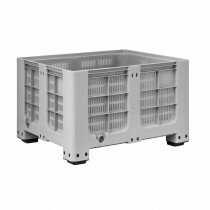 Perfect for use in the food sector due to their large racking capacity and because they can be easily cleaned. 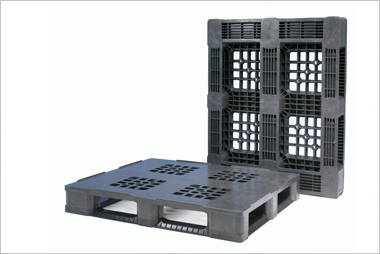 Rigid pallet boxes are also suitable for use with fork lifts and automated conveyor systems. 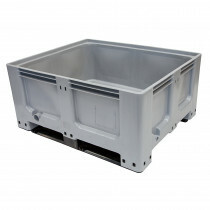 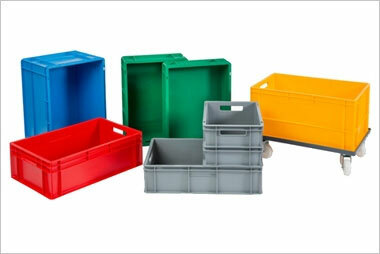 Browse our Rigid Pallet Box range. 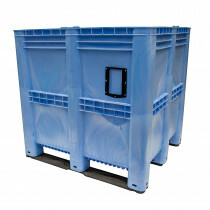 A 610 litre Plastic Pallet Box on four feet. 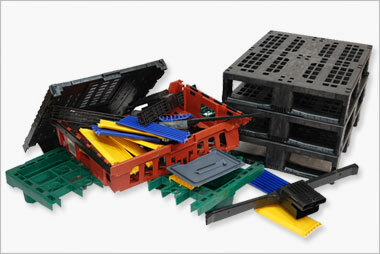 A 610 litre Plastic Pallet Box on three runners. 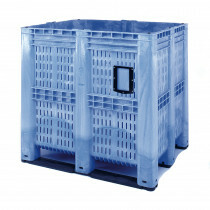 A 400 litre Pallet Box on two runners. 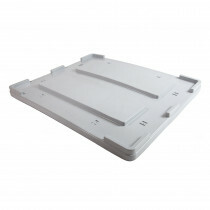 A 1200 x 1000 Pallet Box lid. 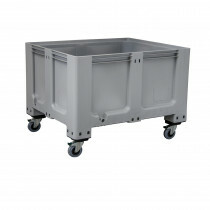 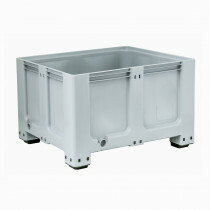 A 610 litre Plastic Pallet Box on four castors. 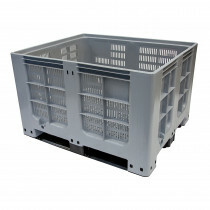 A 1400 litre Plastic Pallet Box on three runners.